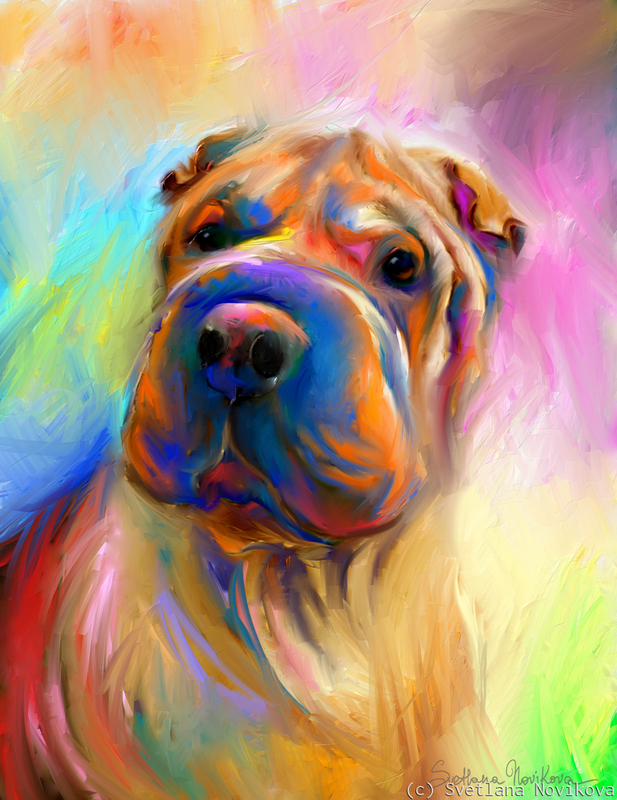 Colorful painting of Chinese Shar Pei dog. Copyright Svetlana Novikova, all rights reserved. I am available for custom work from photos. Contact for more information. 11.75" x 9"16.75" x 13"22" x 17"24" x 18"27.25" x 21"31" x 24"